Save, share and enjoy your child's artwork. Our company exists to help parents celebrate and share their children's achievements. We do this by building great products and relentlessly focusing on our customers. artsnapz began when Ajay's daughter wrote up a list of things he wanted to do during a family road trip. He felt saddened at the thought of throwing this list away, or stuffing it in one the artwork storage bins in his basement. After speaking with other parents and finding that many felt the same way, we decided to create artsnapz to elegantly solve this need. 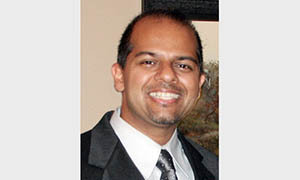 Ajay has spent over a decade in Silicon Valley building great products for companies large and small. Before A4 Labs, he was the first hire at Bump Technologies, creators of the popular Bump app, which is installed on over 160 million mobile devices. He has a B.A.Sc. in Computer Engineering from the University of Ottawa and is pursuing his MBA part time at the Richard Ivey School of Business. He has two children who love showing off their artwork when they come home from school. Check out his personal blog here. 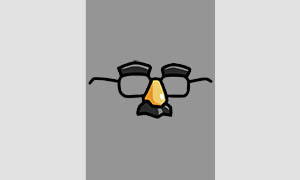 Mr. Incognito's real name is under wraps, as he holds a day job as a principal developer at a Fortune 500 company. He has a technical degree from the University of Waterloo, and bends Objective-C to his will during his mornings and evenings. Mr. Incognito has two young children who provided a lot of artwork to help test artsnapz.